Mojitos is an exceptional place for those visiting Corralejo as it offers a variety of mojitos and cocktails. The bar itself is relaxed and pleasant. It offers exceptional service (the swiftness of which is especially apparent when the staff members are women). For assurance, check to be sure the bar’s female staff is working when you head here. 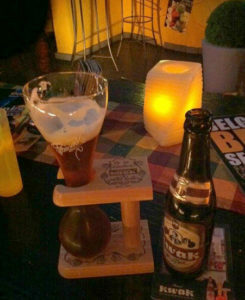 Nico’s Belgian Beer House ensures great nights with fellow drinkers. Here you will find more than 50 varieties of Belgian beers – the widest selection of Belgian beers from the sweetest cherry beer to the strongest monk beer, cocktails and much more with a friendly fun family atmosphere. Do not miss the Bouganville Bar, where you can watch the world go by while sitting outside, a cocktail in hand. This is a friendly bar in the music square. The woman who runs it is friendly and serves reasonably priced drinks. The bar’s lounge has a relaxed vibe. Again, an excellent family pub and also a sports bar. This is the best bar for a sports fan, and there is enough food served. The bar is light and airy, and frozen glasses are used to serve beers, There’s a sense of camaraderie here, and the beer and wine are cheap. 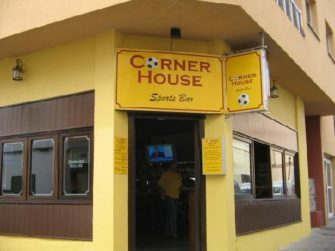 The Corner House is a lovely bar in which to watch sports. Seven Pints has an in-house band and they rock. Their music is sure to bring people back. On Friday nights, the Abba girls are worth the visit. They serve a delicious menu and good food. 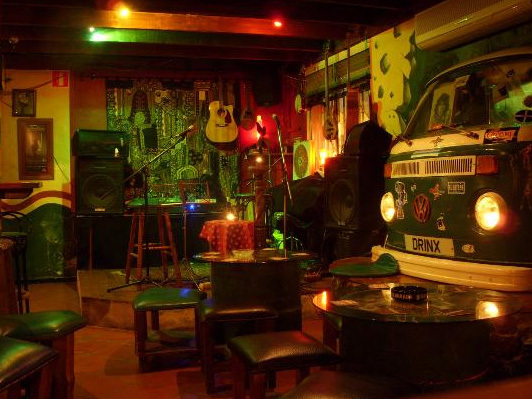 This is the right place for a quick drink or live music. You are sure to feel relaxed and at home. The food portions are generous and the prices are good. This place ensures a great night and the drinks are cheap. 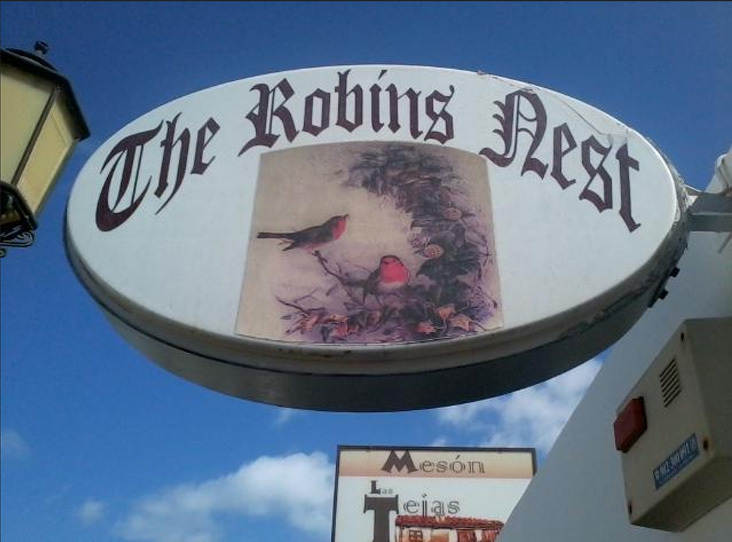 The Robins Nest Bar has a cozy feel. The staff, as well as the owners, Paul and Mandy, are welcoming and friendly. They offer quality drinks at low prices. An amazing little bar tucked away by the fishing port, the Blue Rock offers excellent service. The best part is that sometimes the drinks here are free. The bar man makes the best margaritas. It’s a nice place to have drinks and chat. 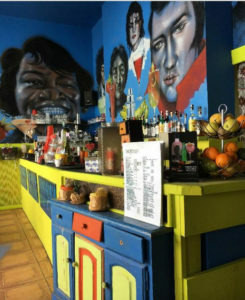 Rock Café Fuerteventura offers exceptionally good drink and food. Located on the main street of Corraljo, it offers the best, from starters to main courses. Enjoy cheese nachos, dips, BBQ ribs and steak while the rock band plays music. Everything, from the atmosphere to the staff, is wonderful here. 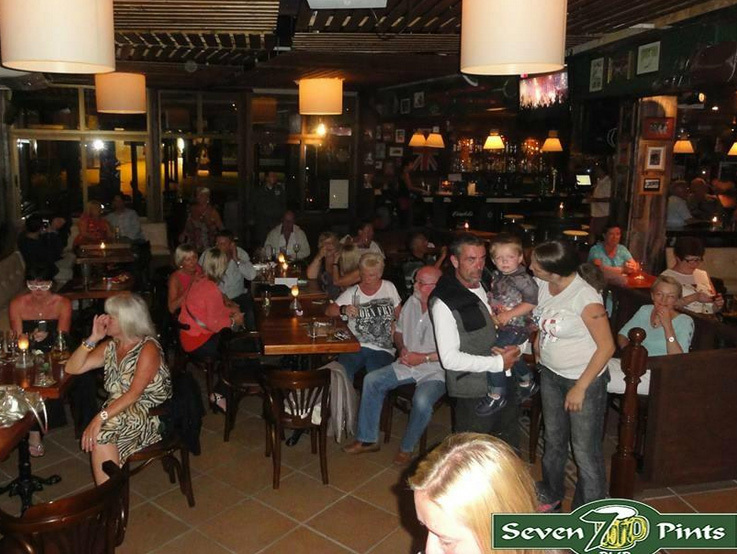 This is the longest-running music venue in Corralejo. 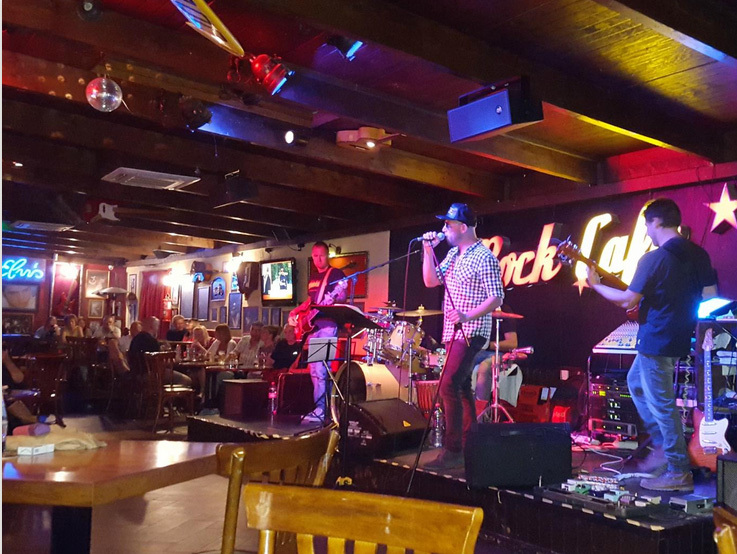 Rock Island Bar features an unplugged style of music, offering a chilled-out vibe and an acoustic lounge. 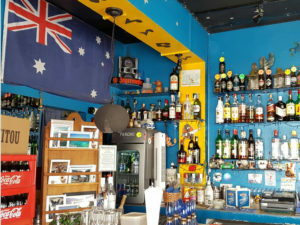 It’s welcoming to all nationalities, who can enjoy excellent wine, beer, soft drinks, superb cold Guinness and long drinks. 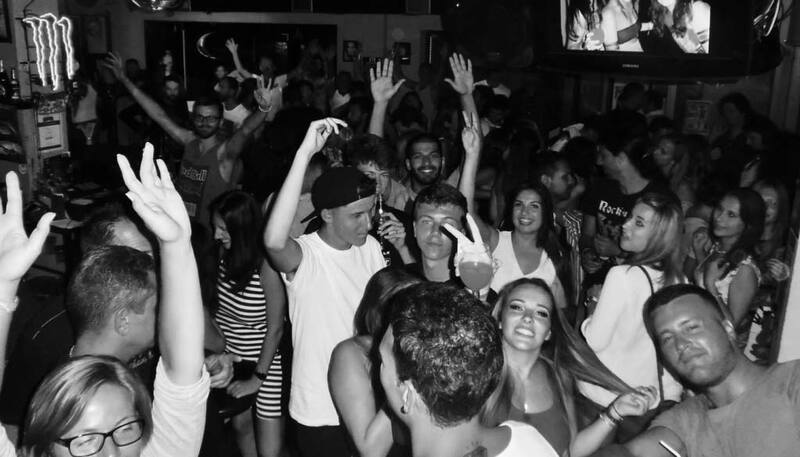 In the heart of Corralejo is Flicks Bar, Fuerteventura’s premier nightspot. This fun loving party centre offers you the best of both worlds. Its long standing Karaoke & Disco bar plays all the latest club sounds, you can chose to sing on stage or dance the night away to its great music. Across its large terrace is Flicks Lounge Bar – which provides comfy sofas for you to chillout to the blissful cool tunes – the lounge bar area also makes the perfect party venue and can cater for any type of celebration – which the staff are happy to co-ordinate for you. 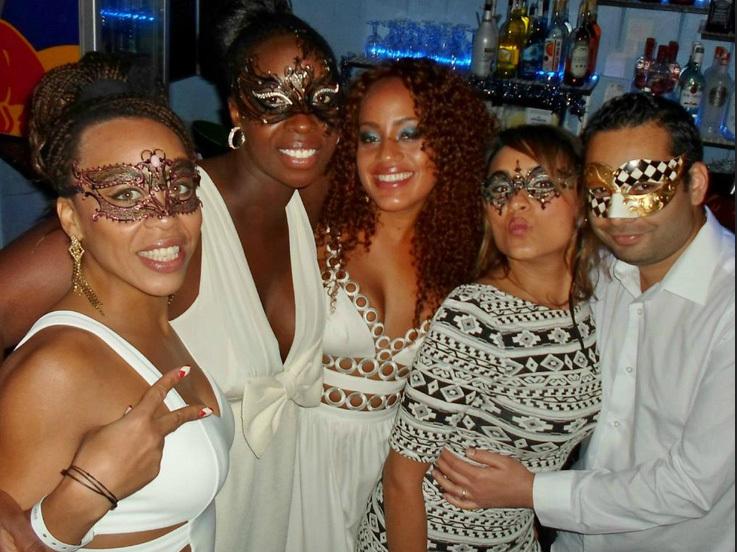 Certainly it’s the perfect venue for your special hen night celebrations. 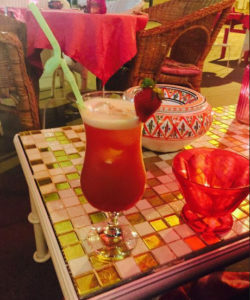 Flicks Bar has the No 1 spot on Trip Advisor and Corralejo.org for Corralejo and Fuerteventura nightlife – which is no surprise, as the team there help make your stay a cut above the rest. Every bride/groom to be deserves their perfect send off and the guys at Flicks will help make this happen.